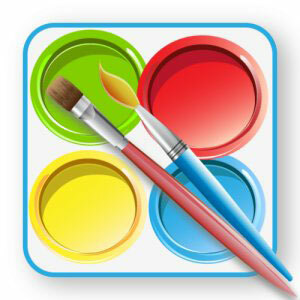 Kids Paint & Color offers a wonderful way to unleash your child's creative genius. Start painting by choosing a color from a vibrant palette. Then choose an object to color - Kids Paint & Color includes 30 images of animals and birds. Kids Paint & Color has advanced region detection, which ensures that the paint does not bleed into adjacent regions while finger painting. So if you're coloring a lion, the paint stays within the lion and does not bleed into the ground or sky. Watch a time-lapse movie of the coloring process. For painting smaller objects, the pin mode locks the object so you can focus on painting just that object. Share your creativity with the world. Post the paintings on Facebook, or e-mail them to friends and family. The application supports tablets, and all images are rendered in high definition.